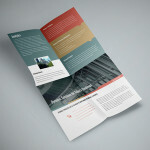 Give your brochure a professional, sophisticated look with printing from PGprint.com. With six folds, multiple papers and finishes, and unlimited sizes to choose from, you're sure to find exactly what you're looking for, and your project will be printed correct & on time, guaranteed. Need a simple yet effective way to tell others about a product or service? 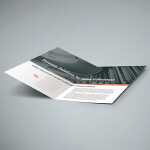 PGprint provides the solution with our wholesale brochure printing services. 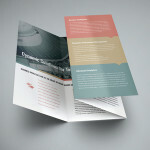 Convey your business message clearly through professional brochures. 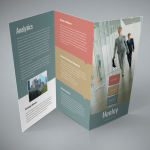 Our printing services are available in a variety of paper stock, folds and sizes for all of your marketing needs. PGprint will produce a customized, full-color printing solution that’s designed for you. 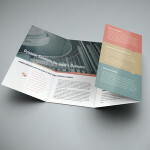 Getting customized brochures from printing experts has never been so quick and easy. 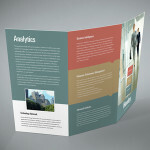 We also have a set of brochure templates available for each of the brochure types mentioned above. Simply select the brochure format you wish to use and then choose your own design or design your own brochures online in our custom designer.